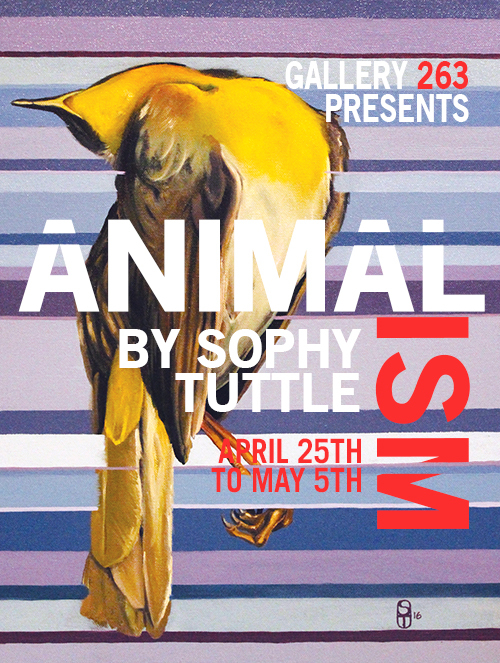 Gallery 263 presents a ten day long solo exhibition by Sophy Tuttle, Animalism. Animalism is the idea that we are all, in our fundamental nature, human animals. Each organism that we call a person is a member of the primate species homo sapiens. We are organic matter— the same as a cat, a rose bush, or the stars up in the sky. The perceived hierarchy of species that currently exists is a falsehood created to morally justify the conquering and decimation of what we call nature in all of its forms. As a rational species, we have used this permission to place ourselves above all other life in every decision we make. This has contributed to the current set of environmental catastrophes we find on planet Earth today. Animalism looks at several of these decisions and reflects on the effect on other animals and their habitats. From the continued use of lead bullets in hunting wild animals, to the construction of a massive border wall that bisects and dissects all types of animal families. 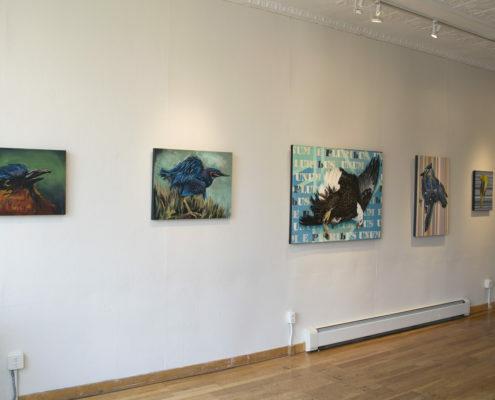 This collection of paintings also aims to celebrate the other creatures we share our homes with. 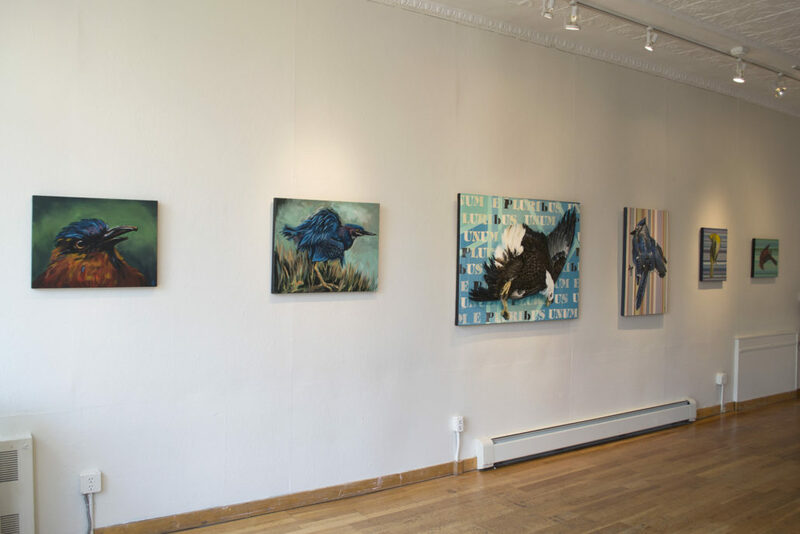 Portraits of magnificent birds acknowledge the joy and happiness that the natural world can bring us. Sophy Tuttle is a Boston-based artist whose work reflects her interest in politics and the environment. She received her BFA in Illustration from Rhode Island School of Design and is currently working on an MFA in Interdisciplinary Art from the University of Hartford Art School. 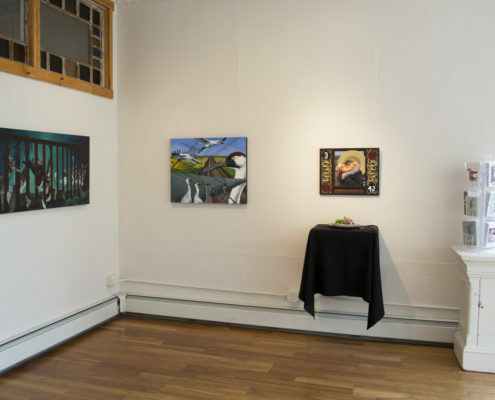 Her work has been shown extensively in New England, as well as nationally and internationally. 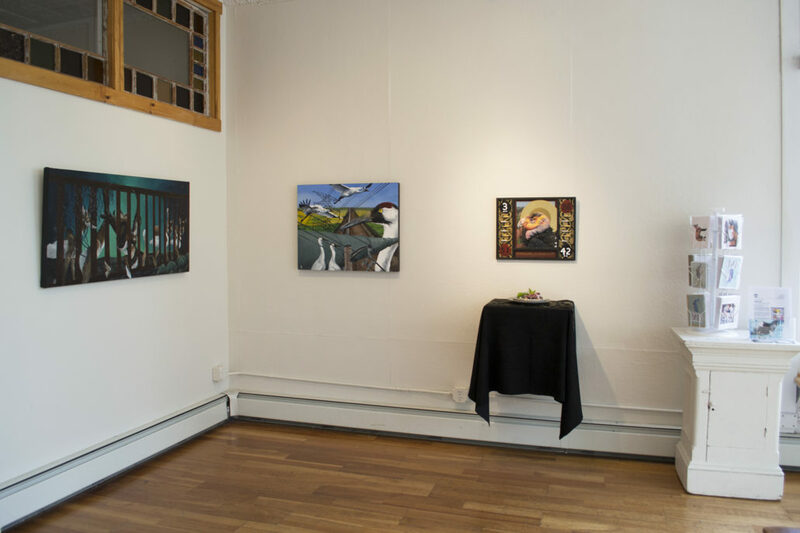 Influenced by artists such as Walton Ford, Mark Dion, Alexis Rockman, and J. J. Audubon, her work calls attention to the unintended environmental consequences of political and economic decisions made in the US and abroad.